Buenos Aires: They are in their ninth decade of life, but the rhythm of tango still thrills in the legs of Oscar and Nina. Even their competitors at last week's tango world championship conceded that this couple danced the most authentic tango of all. Having learned tango during its golden age in 1940s Buenos Aires, Oscar Brusco and Nina Chudoba are some of the longest-surviving proponents of the art. "We are the essence of tango," says Brusco, still straight-backed at 90 and ready to dance. "Our tango is something different: walking and crossing, floor tango. None of this twirling of the legs." 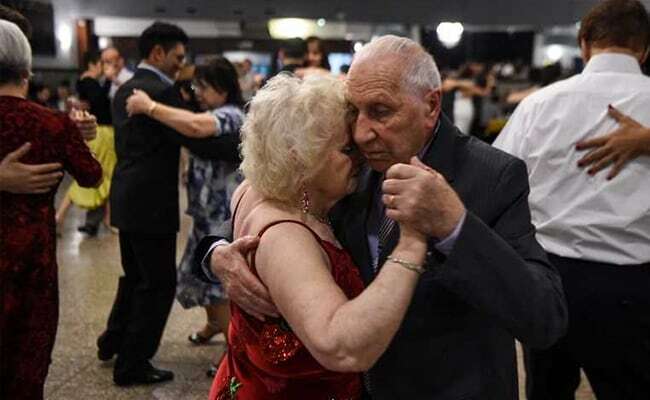 Chudoba, 82, is the daughter of Polish immigrants who settled in one of Buenos Aires' top tango areas, Valentin Alsina. 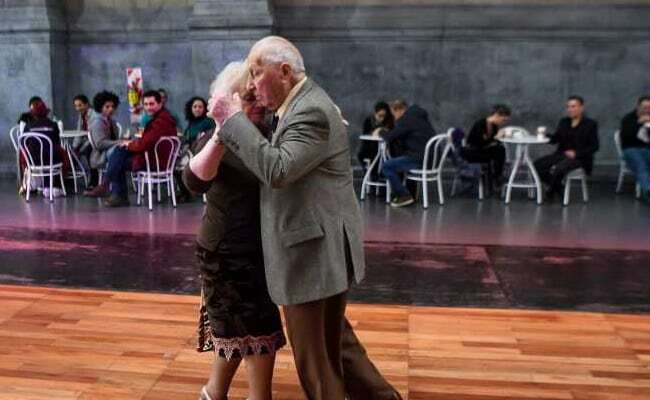 She is glad to see young people still dancing tango -- but also nostalgic for its heyday. "We breathed tango, we fell in love with tango and we laughed with tango," she says. "They all dance the same nowadays. Before, each dancer had their own style." Chudoba turned to dancing seriously in her 50s after her husband died. That was how she met Brusco, also a widower. They go four times a week to "milongas," tango dance parties. Brusco said that was all the rehearsal they needed for the championships. "I have been dancing since 1945. What could we rehearse?" he said. "I have a lot of mileage in tango." Faced with younger competition, the couple did not win the championship in Buenos Aires -- but they got a standing ovation as they stepped on stage. Backstage, finalists Juan Manuel Rosales and his wife Liza greet Brusco and Chudoba before going on stage to compete. "When I look at them, I think that they are part of tango," says Rosales. "They lived through the real age of tango, in the 1940s, when the whole country was dancing it." Nearby, younger male dancers in suits gelled their hair, sporting moustaches like the stars of a past age. "The legacy has been passed on," says Liza. "We will try to keep the essence from being lost."